Thank you Smile Brilliant for sponsoring the product and the giveaway. Hello my lovely reader! Let’s talk about oral health today. 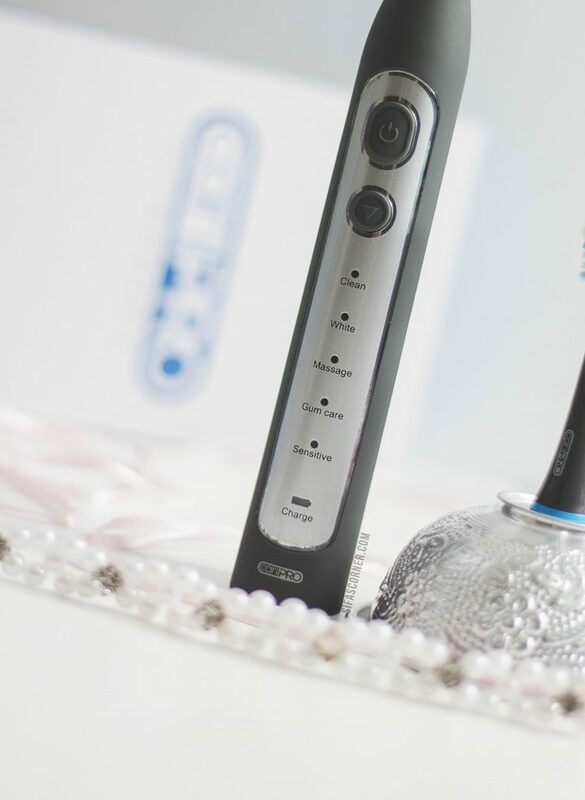 If you have been following my blog for some time, you may (or may not) have seen me talking about Smile Brilliant teeth whitening system back in 2015. I was pregnant at that time, so I had to “borrow” my husband as the model of that review. 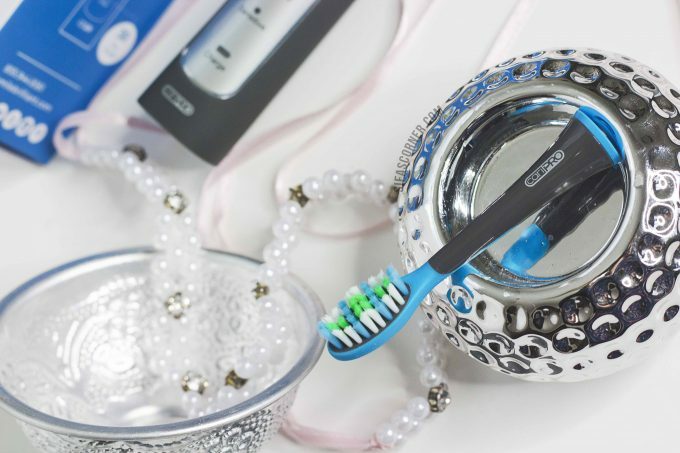 Flash forward this year- I am happy to collaborate again with Smile Brilliant and this time I will be reviewing their Ultrasonic Electric Toothbrush cariPRO. I am also hosting a giveaway, so keep on reading till the end of the article to enter. 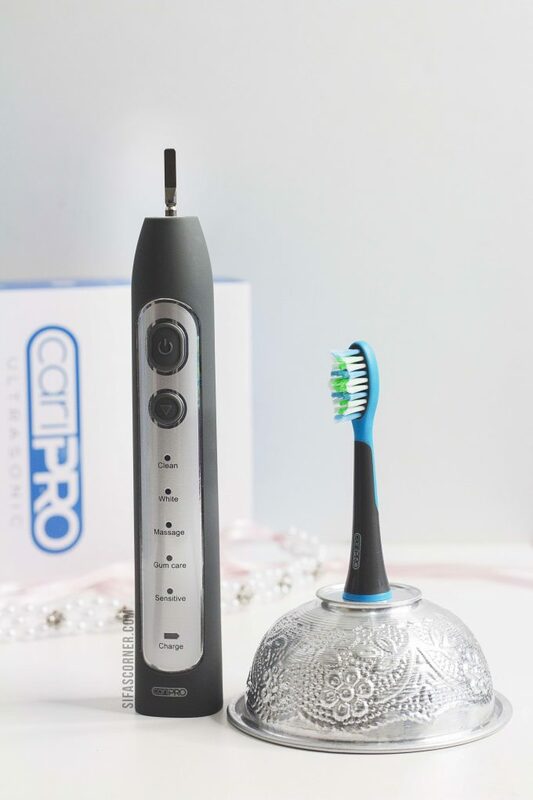 What is cariPRO ultrasonic Electric toothbrush? 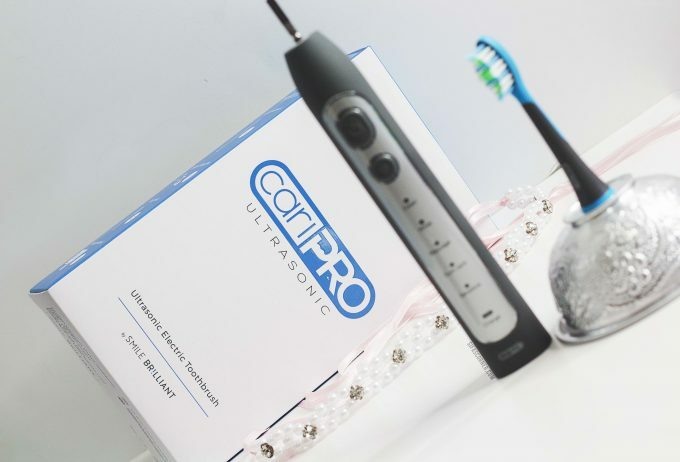 The package contains, 1 cariPRO™ Ultrasonic Electric Toothbrush, 2 Premium Brush Heads with Tongue Scraper, 1 Wireless Induction Charger Dock. 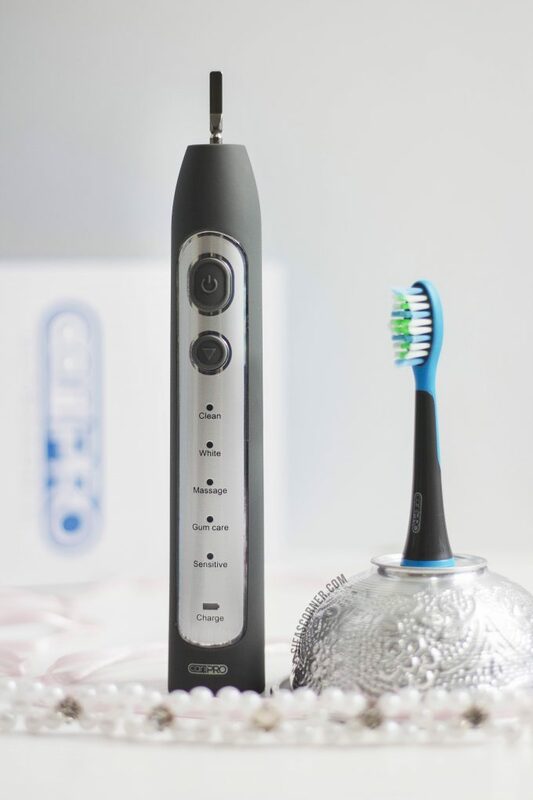 The toothbrush has 5 modes: clean, white, massage, gum care and sensitive. You can feel the differences in these 5 modes. 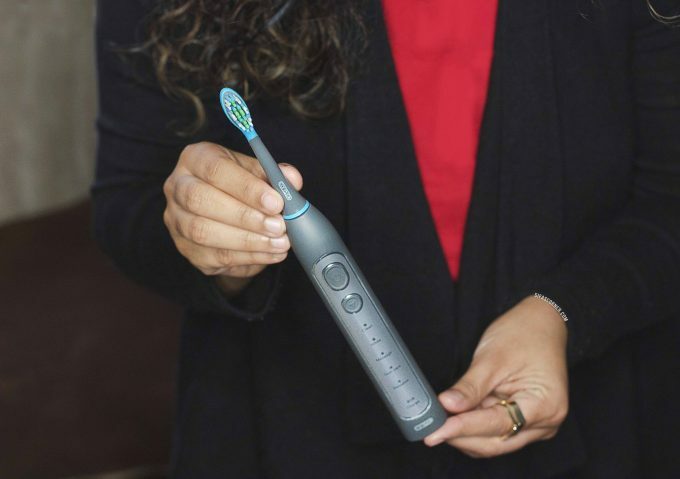 The “Clean” mode is what your everyday toothbrush does. The “White” mode is harder than the Clean mode, and I would recommend using this mode 2-3 times weekly. The Massage and Gum Care modes are really soothing and great for gum health and circulation. The last mode is for Sensitive Teeth It’s amazing if you have sensitive teeth & gum and electric or hard toothbrushes create discomfort. 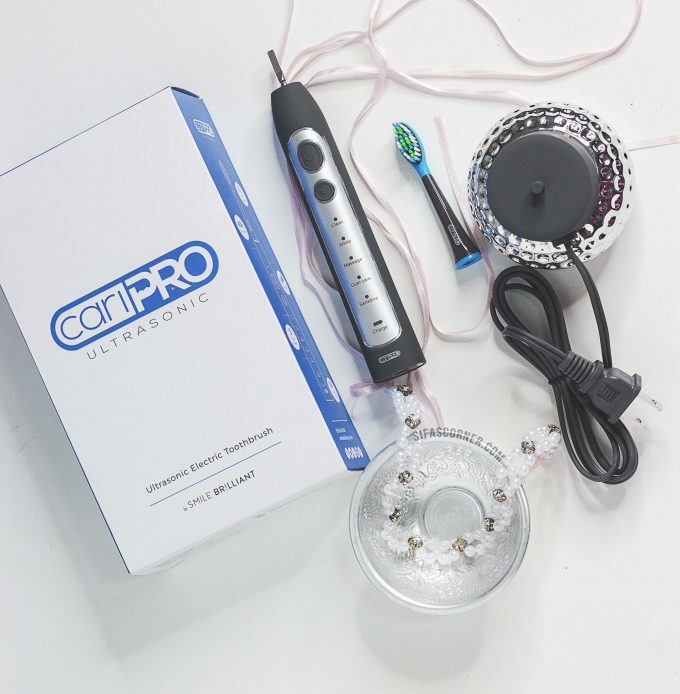 So as the time is passing and the more I am using cariPRO , the more I am loving it. 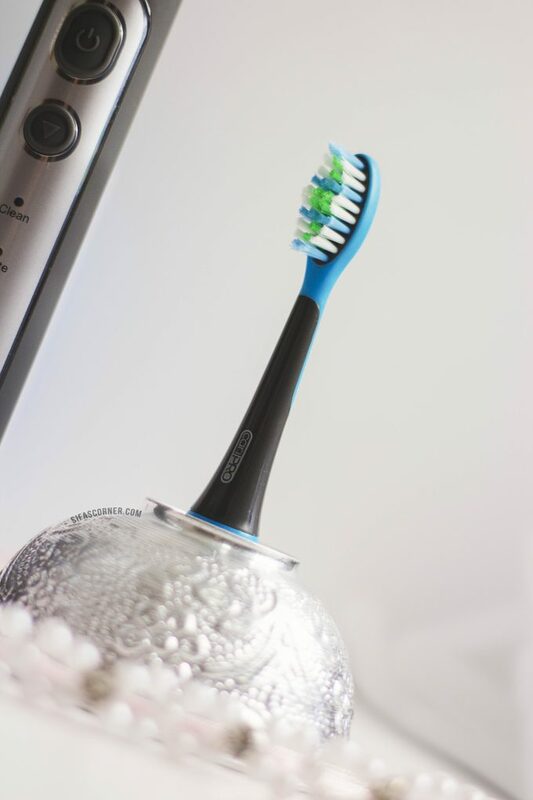 I have found out that it actually works better than a normal toothbrush. The 5 modes may sound like “too much”, but as soon as you try these features you will understand the difference it makes. You can find it online here. The toothbrush sets are found online here, Electric Toothbrush Heads are found here. For more information, check out Smile Brilliant FAQ. Affordable compared to other electric brushes. Price may be a bit on the high side if you are looking for something more affordable. 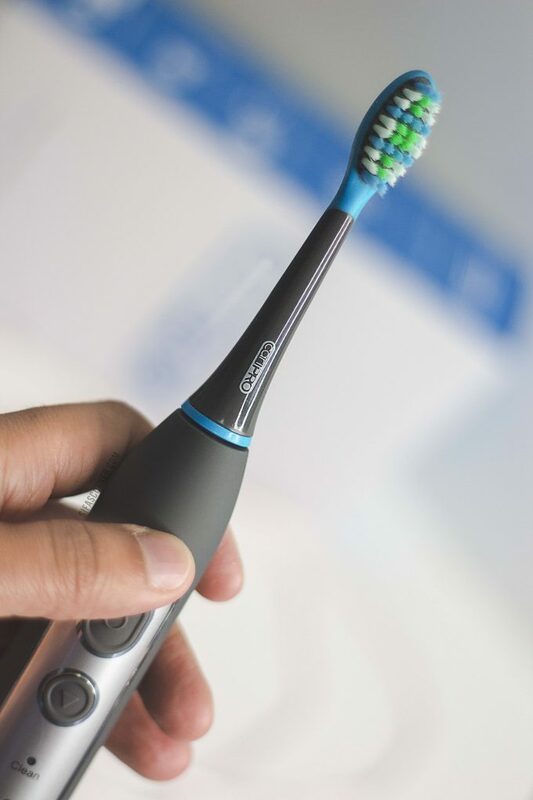 I am using it for almost a month now, twice a day and it seems like it’s working just like my normal toothbrush BUT better. Are you still with me? Awesome…your patience will be rewarded now. 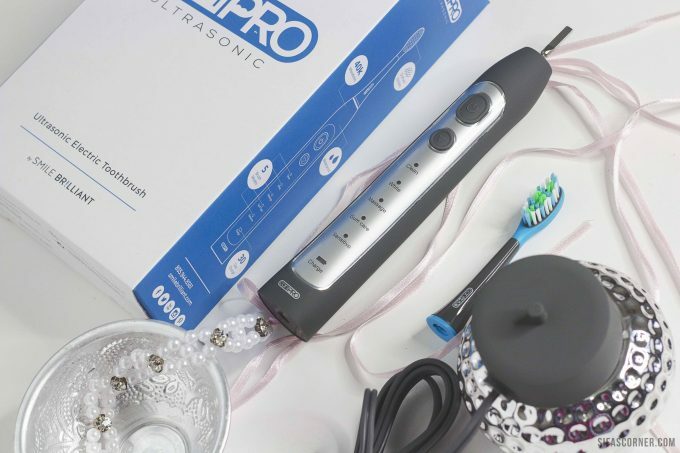 Smile Brilliant has given 20% off cariPRO Ultrasonic electric toothbrushes for my readers. Use the code: sifascorner20 to get your cariPRO at a discounted rate. Open to USA, UK, Australia, and Canadian residents. The giveaway winner will be selected by the brand. You must enter your email to be entered! So what are you waiting for? Enter the giveaway and keep your fingers crossed! !